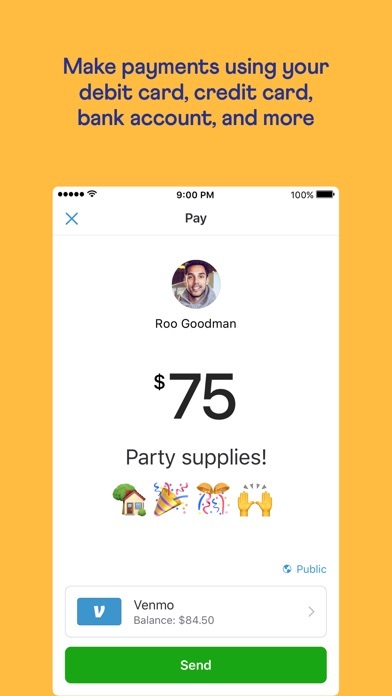 Venmo is the simple, fun money app for sending cash quickly between friends and shopping at your favorite online stores. 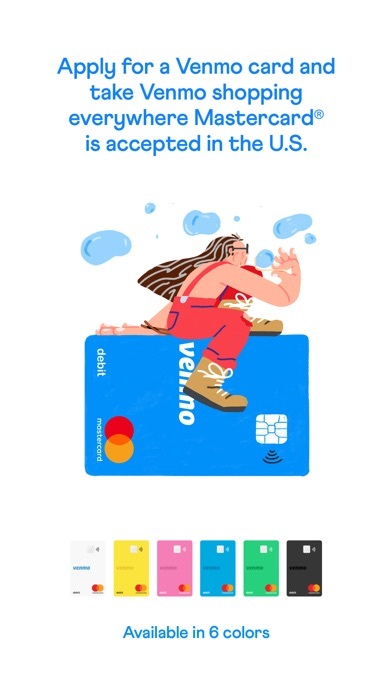 Apply for the Venmo card, and you could be on your way to shopping everywhere Mastercard® is accepted in the U.S. Share your new buys, split purchases with Venmo friends to avoid awkward IOUs, and catch up on what your friends are doing on the feed. 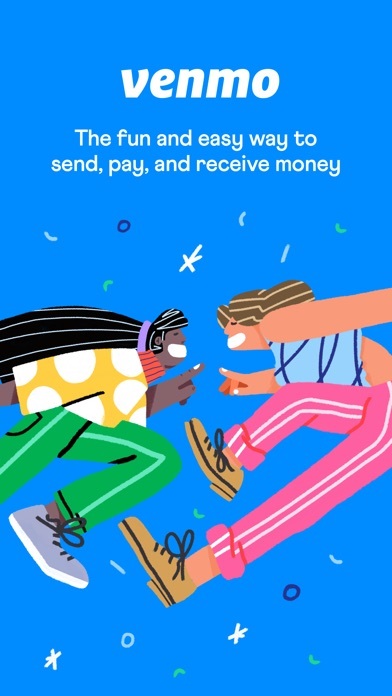 QUICK & EASY Send money quickly to friends using Venmo by simply linking your payment method. Transfer money sent to you to a U.S. bank account. SHOP WITH VENMO MASTERCARD Apply for the Venmo card in the app, and take your Venmo balance shopping everywhere Mastercard is accepted in the U.S. Track and share what you bought, and split with Venmo friends later. Plus, there’s no annual fee, and no credit check (it’s not a credit card!). CONNECT & SHARE WITH FRIENDS Every penny tells a story, whether it’s for a group dinner, road trip, or concert. Add notes to your payments using your favorite emojis, and like or comment on friends’ stories. BUY FROM YOUR FAVORITE STORES Check out without your wallet. 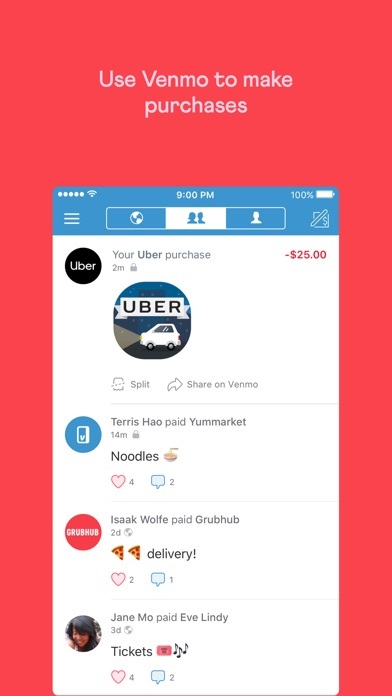 Use Venmo to pay in select mobile apps or at millions of retailers on mobile web—for free—so you can easily make, split, and share purchases with Venmo friends. STAY ON TOP OF IT ALL Easily track your finances. 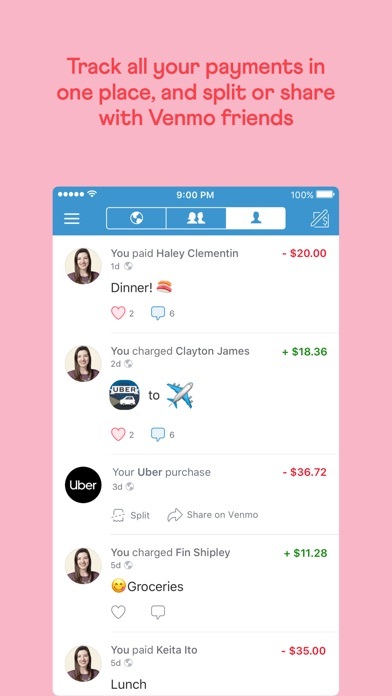 Use the app to keep up with what you owe, what friends owe you, and what you’ve bought using your Venmo account. YOUR SECURITY IS OUR PRIORITY Venmo makes money transfers easy and fun, and we take the protection of your Venmo account very seriously by using security measures to help protect your account information. Learn more at https://venmo.com/about/security/ Card is issued by The Bancorp Bank pursuant to license by Mastercard International Incorporated. The Bancorp Bank; Member FDIC. Mastercard is a registered trademark, and the circles design is a trademark of Mastercard International Incorporated. This app will allow others to use your credit card and/or bank information without your permission. I didn’t know that this app existed until it showed up on my credit card statement. There is no cross verification being done to protect identity theft. Who doesn’t love sending their friends piggies and money?? As a husband and wife couple, my husband and I share a bank account. However we cannot both use Venmo with one bank account. This is extremely frustrating when we have to try to pay someone using Venmo. Please update the information so we can use multiple Venmo accounts with one bank account. Otherwise, the process is very simple and always goes smoothly. Keeps asking me before a purchase what is the original deposit made in my bank! Have to keep going back and find the amounts. Love how easy it is to use this app! They will freeze your account without reason, and tell you you just have to wait 5-7 business days to find out why... Thanks Venmo for ruining my sons birthday. The app is convenient for payments of the recipient only accepts Venmo. Each time I have signed in to make a payment though, I have to re-enter my bank info which is not so convenient. This is not the case with similar apps. Also, I was not happy to find that my default setting allows all friends and family on social media to see who I am paying (or vise versa) and when along with any notes entered. The amount is not included but I think this is a new level of sharing. Do I really need to know who pays who and when if I have nothing to do with it? And do all of my friends and family who I am connected with through social media need to know when and who I pay? I realize you can make these payments private by going to settings and privacy. It still seems to me too much information to share. Sharing this information shouldn’t be an option but at minimum, the default should be set to private and let people choose to share if they want.